This page provides much of the common technical knowledge needed / requested for builders or councils. This source of data is selective and not the whole of technical information, schematics, drawings, or performance data. If you require data or information that is not provided here, please feel free to reach out to us. This page is broken into separate sections outlined below. Clicking on any of these will take you directly to that section. 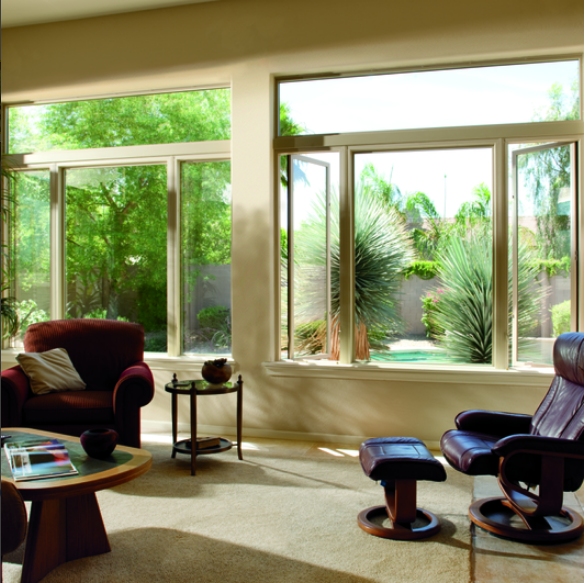 There are two main types of window frames supplied by Pella. The first is a block frame which is a traditional window where the window is secured by screws or nails that pierce the window frame to secure to the studs. This type of window is preferred for remodel installations where the exterior cladding doesn’t have to be removed. Click here for block frame replacement instructions. The second type of frame includes a nail fin that extends out from the traditional block frame. In this installation, the nail fin is what is secured to the front of the house framing. An advantage to this style is that flashing tape can affix directly over the nail fin to the building wrap and thus forms a better seal between the building weatherproofing and the window. Click here for installation instructions for new building after installing the building wrap. 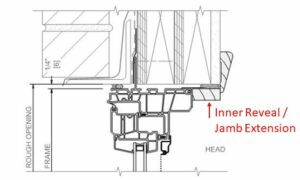 The inner reveal, or jamb extension, is a piece of trim that is attached to the interior of the window frame that extends over the edge of the drywall. A picture is shown in a cross section for a window below. In New Zealand, this often comes attached to the window. In the US, this is not the case. US windows are installed by securing (screwing) the window frame directly to the house framing. In this way, the weight of the window and glazing is directly supported by the house framing. In this regard, US windows differ from New Zealand windows. NZ windows come attached to the inner reveal because it is the inner reveal that is secured to the house framing and not the aluminium window frame directly. In this case, the weight of the window is indirectly supported by the house framing through the reveal, putting stress on the union between the window and the reveal. To compensate for this, NZ windows often require a sill support bar to support the direct weight of the window. Because US windows don’t require the inner reveal, this leaves the homeowner with multiple ways to finish the inside of the window. Below are three common ways. 4-Way GIB : This finish is a very contemporary and low profile way to finish the interior of a window. What is noticed most is the view through the window and not the window trim around it. This type of finish is not historically common in NZ for the main reason that most windows have large amounts of condensation which will damage drywall over time. One thing to remember is that uPVC windows are very insulating and significantly reduce the amount of condensation making this a viable finish option. 3-Way GIB With Wooden Sill : This finish combines the contemporary look with some added functionality of having a timber sill that extends slightly (~25 - 50 mm) into the room. This sill can be extended further into the room if desired to provide a ledge for plants or other items. Picture Frame : The final finish is a traditional NZ finish. The inner reveal can be added in timber and finished off with trim to form a picture frame. This is what was represented in the cross-section shown at the beginning of this section. If a wooden inner reveal is desired, we can provide a jamb installation clip to align the wood flush with the interior frame of the window. 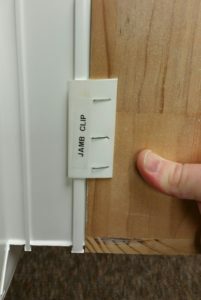 The clip is stapled to the inner reveal, and then is secured to the interior of the window by clicking the clip into an accessory groove in the window frame. An applied example is shown below. Any New Zealand Council will require proof that windows are fit for purpose in New Zealand before signing off on the consent. Councils ensure that windows meet specific requirements based upon both the Building Code and New Zealand Standards. The Building Code clause E2 requires that any windows are installed in a manner that protects the house from external moisture. To prove this, the council will require technical drawings on how the windows are installed and integrate with the building’s weather barrier. NZ Building Code also requires that all windows meet a minimum durability requirement that the last a minimum of 15 years. New Zealand Standards 4211:2008 requires windows to be tested to specified wind zones for air and water infiltration, deflection, operation of sashes, and ultimate strength. Each of these requirements are addressed in individual sections below. The profile for US windows is slightly different than NZ windows, so we will need to provide new technical drawings to the council for your consent. Which drawings are provided will depend on the cladding used for your house. If you have more than one type of cladding, we will need to submit more than one set of drawings. These can be supplied upon request. 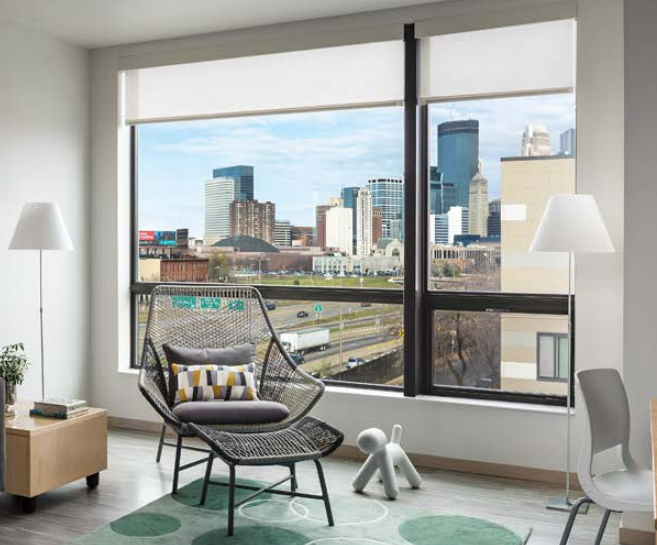 All Pella windows have been extensively tested and awarded a Hallmark Certification from the Window and Door Manufacturer’s Association (WDMA). This certification is an international program similar to the NZ CodeMark and is designed to provide an easily recognizable means of identifying products that have been manufactured in accordance with the appropriate WDMA and other referenced performance standards. A list of the test required to meet Hallmark Certification can be found here. Many of these tests are not yet required in NZ. The Hallmark Certification is so extensive that many councils recognize the certification and acknowledge that the windows surpass NZ standards. There have been councils that have requested the individual test data reports used for Hallmark Certification to verify that all NZ requirements are met for the applicable NZ wind zone. Consents have been quickly granted after supplying the requested data reports. As stated above, individual test reports are available from ISO accredited laboratories that test for NZ performance criteria. These can be supplied to councils upon request. NZ building Code also requires that windows meet minimum durability requirements that the windows last for a minimum of 15 years. In response to this requirement, the Window Association of New Zealand (WANZ) has recognized that New Zealand has higher UV exposure than northern hemisphere countries and requires more strict UV resistance. As such, the normal European EN12608 “severe climate” test is approximately equivalent to 2 years outdoors exposure in the New Zealand climate. Further modification is needed to approximate the minimum 15 years durability requirement of the New Zealand Building Code. WANZ suggests that one modification is to change the formulation of the uPVC blend so that it has a minimum level of 8 parts per hundred resin, (8phr) Titanium Dioxide acting as a sunscreen to protect it from the damaging UV light. As quoted from WANZ, "this option is based on the knowledge and experience of the uPVC manufacturing industry in New Zealand over the past several decades for other uPVC construction products. The New Zealand sunshine strength requires a higher level of “sunscreen” in the formulation mix to protect the uPVC from the strong UV light we have in New Zealand." The PVC that is used in Pella windows exceeds the New Zealand requirements for UV protection by as much as 25% more 'sunscreen' than is needed. Here is a letter from the manufacturer certifying that all of their vinyl products meet this NZ requirement for 'sunscreen'. When windows are manufactured away from the building site, it is common to question how long it will take to manufacture and get the windows on site. An though our shipping takes a little longer than more local means, our production is quick so the entire process takes on average less than 6 weeks. 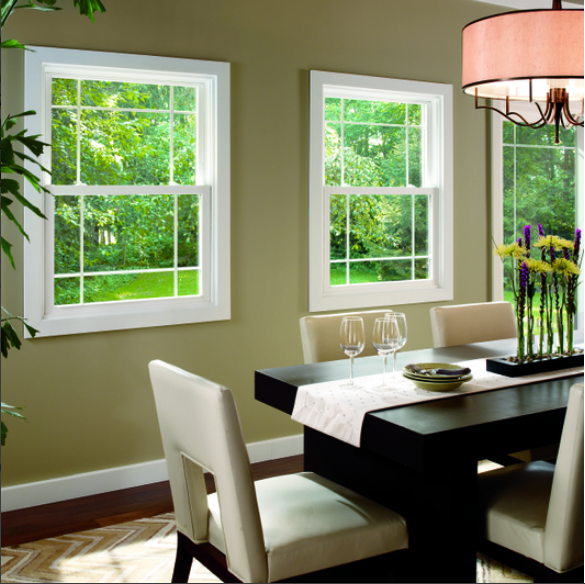 All windows are manufactured to your specific dimensions and for your order. It takes about 10 days to manufacture windows, entry doors, and sliding doors for an entire house. From there, they will be crated and shipped to the port which can take up to a week. From there, transit to New Zealand takes about 13 days. It may then take up to a week to get through customs and delivered to the construction site. If the shipment is going to the South Island, additional transport can factor in two more days. The entire process takes on average less than 6 weeks from placing the deposit to having the windows arrive on site. Throughout the entire process, ThermaScreen will keep you up to date with production and delivery milestones. We even typically provide you with a link to track the ship’s GPS while on the seas. Need something that you didn't see here, let us know and we can get you what you need.